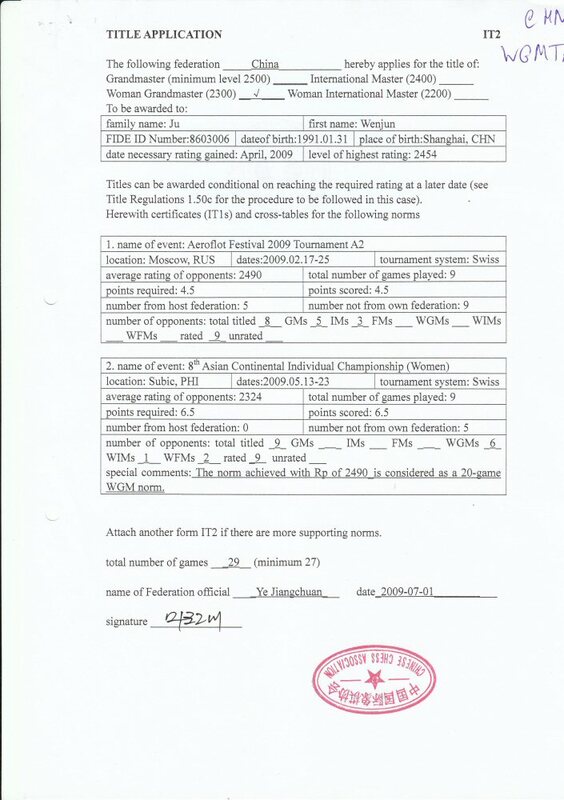 Ju Wenjun (Chinese: 居文君; pinyin: Jū Wénjūn; born 31 January 1991) is a Chinese chess grandmaster. She is the current Women's World Chess Champion. She was born in Shanghai. In December 2004, Ju Wenjun placed third in the Asian Women's Chess Championship in Beirut. This result qualified her to play in her first Women's World Chess Championship in 2006. She competed in this event also in 2008, 2010, 2012, 2015 and 2017. ↑ WGM title application. FIDE. ↑ "TWIC 529: Asian Women's Championship". The Week in Chess. 2004-12-27. This page was last changed on 17 November 2018, at 09:55.